Last season, The Blonds went all out with an entire sparkly, wild runway show created in collaboration with Disney. It was so good, that it really had us all wondering what they could do to possibly top it. Well, Lil' Kim did a surprise performance that had the whole show literally screaming in excitement. Here's everything else you need to know about the show. Paris Hilton, Karrueche Tran, Mj Rodriguez, Aquaria, Lion Babe and The Clermont Twins all walked in the show — in the Blonds signature playful way. Paris Hilton wore a crystal fringe slip dress and was dancing to the music the whole time. For guests of the show, it was a total surprise that the iconic Lil Kim would perform. 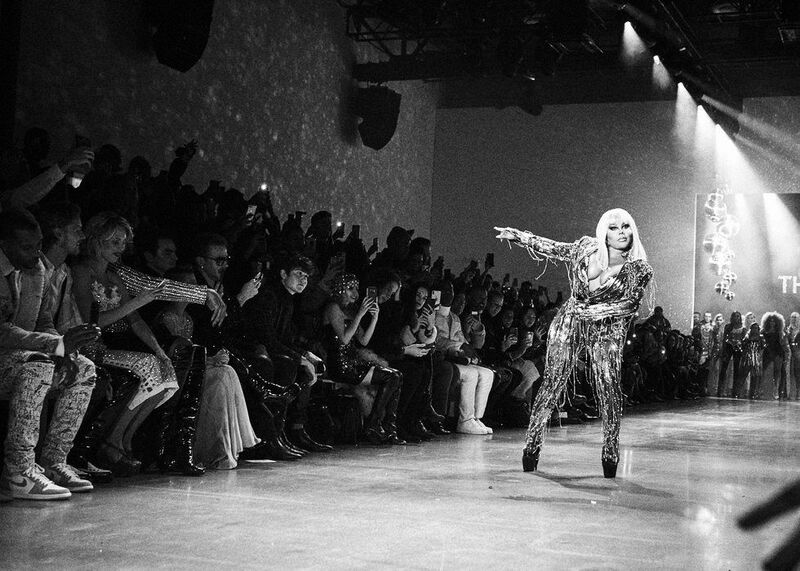 After the models took their final walk and stationed themselves near the front of the runway, Lil Kim took the stage as the audience literally screamed. 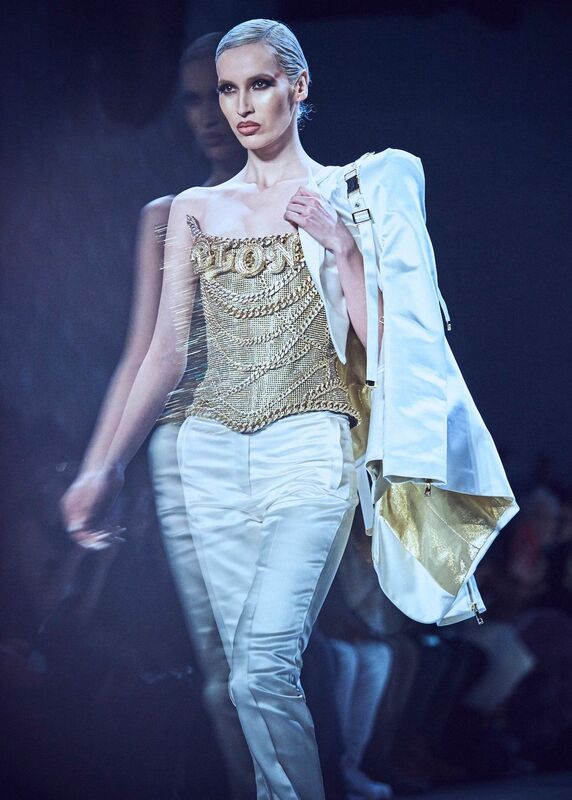 It was truly a highlight of NYFW and she was, of course, wearing a golden fringe outfit from the label. The duo behind the label, designer Phillipe Blond and creative director David Blond, were inspired by iconic gangster movies. Thus, there was a heavy emphasis on all things luxurious: heavy gold chain details, metal fringe, gold tailored jumpsuits and crystal studded dresses with built-in bustiers. Taking that inspiration one step further, The Blonds creates a couple of really luxe looks in stunning emerald green. Both Aquaria and Lion Babe wore these gel covered masterpieces that sparkled under the lights at Spring Studios. 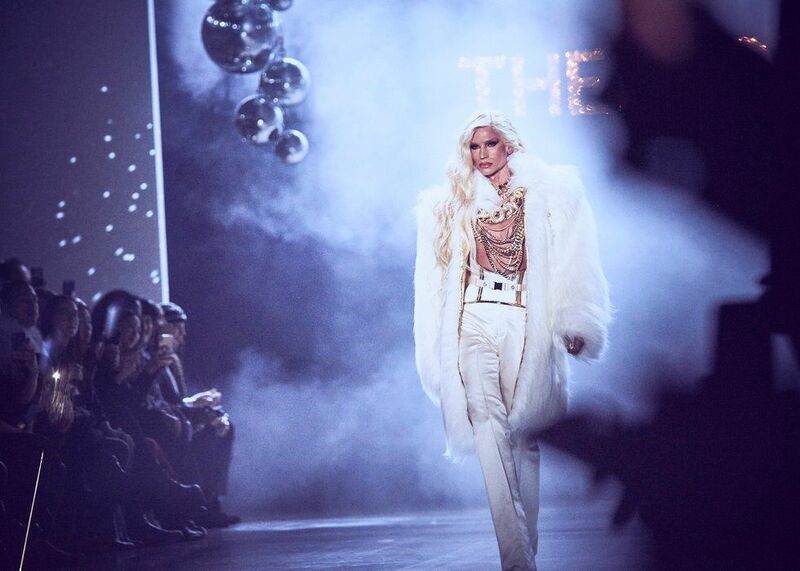 Phillipe Blond always walks in his own show, but this season he opened it with a bang. Wearing an extremely over the top, metallic-gold-lined faux fur, he strutted down the runway followed by an A-list cast.